Do we care about working conditions abroad? At the end of the segment, Ira Glass asked New York Times reporter Charles Duhigg how consumers of Apple products should feel about their Apple purchases. Duhigg’s initial response was that his job as a reporter is to present facts to aid the reader in developing his or her own opinion, but when pressed he revealed that he doesn’t believe that consumers should be satisfied about working conditions abroad. Duhigg explains there have been times in United States’ history when we had poor working conditions. Change was created when we decided, as a nation, that those conditions were unacceptable. In the globalized world we live in, why haven’t we exported our standard of care to stakeholders in other countries? This is a complex question that is guaranteed to elicit a wide range of answers. America’s highly individualized culture encourages individuals to make decisions based on short term personal benefit. I think the fundamental problem in this age of consumerism is that many people in our globalized world lack concern and care for people who they do not know and the environment that they do not see get destroyed. 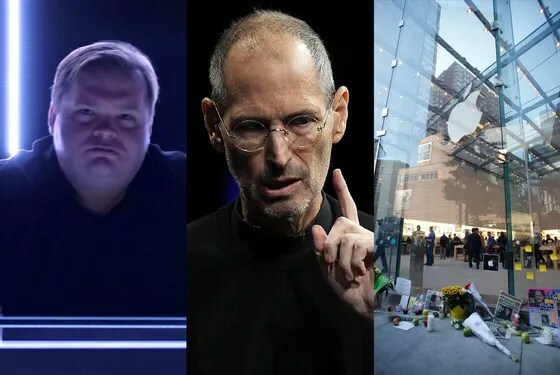 Mike Daisy’s monologue, The Agony and Ecstasy of Steve Jobs, humanizes our consumer driven culture through analyzing Apple through the perspective of vulnerable stakeholders, the Chinese workers. While he shouldn’t have categorized his work as journalism, I think his work still deserves attention. 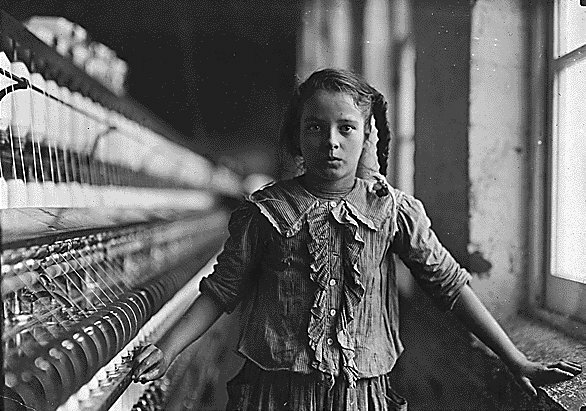 I just googled images of working conditions during the American industrial revolution and the result was faces, sad faces. For comparison, I googled images of Chinese industrial working conditions and the result was zoomed out shots of uniformly arranged people, who all looked the same. The fundamental issue is the same in both of these searches (working conditions), and yet we are characterizing those who are affected in very different ways. I can think back to high school history textbooks that explain the industrial revolution working conditions as an awful short term trend that we learned from and have overcome. 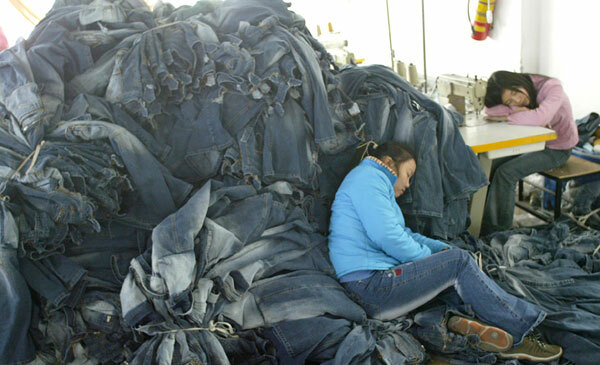 For one reason or another, we justify Chinese industrial working conditions. While it is interesting to think about how we developed this disconnected mentality, it’s also important to think about where the information comes from that informs our opinions. Mike Daisy’s semi- fabricated account was based on news articles and second hand stories he had heard about working conditions. He believes these sources to be accurate and based in truth, while others may contest that belief. At this age, so much of what we know comes from other people telling us what they believe to be the truth, rather than the truth that we experience for ourselves. My personal reaction to the issue of working conditions is based on what I perceive working conditions to be like in Asia. I picture the inside of factories through news reports that focus on negative aspects of the impersonal industrial production system, therefore, I think very negatively of them. The media has incentive to exaggerate or fabricate claims (For example, today I heard of a case where a celebrity pulled his car over to help a homeless man, whose belongings who had been scattered across the street. The reporters published stories claiming this celebrity had hit the homeless man with his car.) but companies have incentive to minimize publicity of negative aspects of their business. Unfortunately, businesses are likely to be the ones with the most accurate information, but have incentive to keep information from the public. My first reaction to listening to the Retraction episode, is that “This American Life” ignored the simple advice/knowledge, that we as students hear over and over again; be careful what you put on the internet or radio because you will never be able to take it back. More specific for this situation, is you must be clear about what kind of information you are presenting to the public. Is it fictional, factual, opinionated? But, as far as Mike Daisey is concerned, he is a performer, he considers what he does as a form of art. Therefore, he can defend his exaggerations and “lies” by saying that he was simply using his artistic license to get his point across. And when confronted on the radio show he does defend himself, he does not consider what he said to be lies. When asked why he did not consider himself a liar for saying that he personally met with hexane poisoned workers he said, “I would say that I wanted to tell a story that captured the totality of my trip. And so when I was building the scene of that meeting, I wanted to have the voice of this thing that had been happening, that everyone had been talking about.” The radio show then goes on to talk about how his monologue has reached so many ears, and how he is now known as a leader in speaking out against apple. Most importantly, how people take his monologue as fact. In today’s day in age, there is more readily available information than ever before, much of which you can not call fact. Although it is obvious, that is why it always important to check the sources of the information that we read on the internet or hear on the radio. There are probably hundreds of things that I think to be fact, that in reality are not true at all. For example, I recently watched a science video on the internet that talked about common science misconceptions, many of which I believed before viewing the video. Some of the misconceptions are that our blood is blue before it touches oxygen (false), the Brontosaurus existed (false), the far side of the moon is the dark side of the moon (meaning it receives less sunlight) (false), and many others. All this being said, it is often hard to know exactly where the information you are reading/listening to/watching came from, and how reliable it really is. That is why I have learned to take most everything with the proverbial grain of salt. Even when sitting at a lecture or in class at Bucknell, much of the curriculum being taught is affected by each professor’s personal opinions and experiences. This may seem like a pessimistic way of looking at our world today and the readily available information flying around, but I believe it to be a realistic one. That is why before I formulate an opinion on a particular subject I try to find information about it from multiple sources. There are obviously exceptions to this. Even though I mentioned before that my professor’s curriculum may be effected by their opinions, if I am told in class that Gross Profit Margin is (Revenue-COGS)/Revenue, I will take this as fact without having to find external sources. Finally, I find that it is important to “label” what one says/blogs/writes as either fact/opinion/objective/subjective so that when others come across this information they know exactly what they are being exposed to. And also that if what you claim is indeed fact, that you cite it with a reputable source. My first reaction to “Retraction” was frustration because I couldn’t believe that I listened to Mike Daisey’s entire monologue without even thinking if he could be lying or not. I assumed that since he was talking about his personal experiences that the things he was saying were true. Now, after discovering the numerous lies Daisey told, I realize that I shouldn’t be surprised. Daisey’s monologue was not journalism; it was purely his attempt of being entertaining. In this case, it seems as though Daisey is nothing more than an actor since so much of his story was found out to be false. At one point in “Retraction,” Daisey apologizes. In my opinion, he also owes an apology to Apple. Although we know that there are poor working conditions at factories that produce Apple products, the content in Daisey’s monologue was clearly exaggerated. With a high volume of listeners, I would assume that many of these listeners had a worsened image of Apple as a company after hearing Daisey’s story. 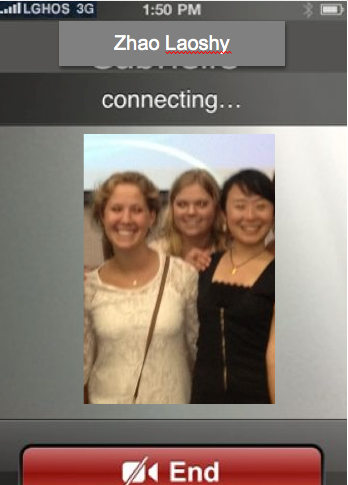 This effect isn’t fair to Apple, considering many of the issues presented were exaggerated or made up altogether. This makes me wonder if Daisey had other motives besides just trying to put on a show and be entertaining. It was disturbing for me to hear how many of the ideas presented were actually lies. I don’t understand why Daisey felt the need to tell a completely different story compared to what he actually experienced. When asked questions about his lies, he took a while to answer and when he finally answered, he didn’t seem confident in what he was saying. Could he have lied in that interview as well? Although he admits to his lies, he still tries to explain himself and stand behind his story. In my eyes, Daisey lost all credibility and nothing he says should be trusted. People tend to believe others who are talking about personal experiences, but it is probably wise to look out for people who might have other motives and could be lying or exaggerating the truth. Mike Daisey has provided me with one of the best pieces of fiction I have heard in a while. In part with my obsession of Game of Thrones, I hope HBO takes his monologue and produces it into 7 part series. All of my quips aside, the retraction is another example of why it is important to take information reported by media agencies with a grain of salt. We were all moved and down right appalled by what we heard Mr. Daisey describe last week about the conditions these workers lived in and how they were treated. But how many of us really took the time to look for the true story of if this all happened? We believed his account because, well, he sounded sincere, and honest, and passionate and it seemed like such a tragedy, much like the Red Wedding (another Game of Throne Reference btw). Whatever it was, it begs to question, what are the falsities we encounter in daily media sources? I think there is a greater point to look at here. MIke Daisey is not a reporter. Rather, he is an actor, author, and monologist. For him, prize is all about the captivation of his audience. Yeah sure he could have recounted the true nature of his events and given us the actually picture of what happened. But where is the captivation in this? Needless to say, much faults falls on The American Life to thoroughly examine what Mr. Daisey was going to say and check in on the validity of this story. If you ask a crook if he is a crook, chances are, his answer is going to be no. When asking Daisey to get in contact with his source, especially on a subject so saturated with controversy given the public name of Apple, you might want to dot your i’s and cross your t’s. It would have been less of a public embarrassment to have taken the 2-3 weeks to check in on the validity of Mr. Daisey’s sources. Especially when it is usually company policiy to have some one from The American Life along to ensure the validity of a story. With this said, next time before we part ways with one of our products because of a “groundbreaking” report, we should look to see if it even scratches the surface. In today’s age of being technology flooded, a little research shouldn’t command to much on us. We cannot allow someone’s opinion to shape and mold our perception of the truth without having the full picture. For most, we can hope those who report news and information are like the Lannister, and stays true to their word. I enjoy watching documentaries and since I have began watching these quick 50 minute informative videos, I have seen quite a few on factories like the one Mike Daisey discusses. Yet this monologue was still striking even though I expected to hear things I have already heard. One thing that stood out to me was his discovery of handmade electronics. Daisey elaborates on finding this out by discussing how so many of us wish things were handmade or had the personal touch that they used to. To think the devices that we use to prevent personal interaction; the devices that give us the ability to find any amount of information without any effort are put together by human hands. Not machines, not computers. Our high-tech computers are not constructed by a higher technology, but by uneducated people. I am completely fascinated by this. All the technology in the world and bare hands built my iPhone and MacBook Pro. And then to think how much money these things cost and think back to how each factory must look. I can only infer from other videos I have watched but I cannot imagine the working conditions are good nor is the pay. Daisey said they are not even allowed to speak in a 12 hour shift! Later, he and his translator discuss the possibility of the workers being mentally ill. I thought I might agree with that statement but after really thinking about it I do not it is illness, but the culture. The culture is almost unfathomable – that workplaces like this are so common and people work and live in silence regarding such horrific lifestyles. The piece of the story that struck me the most was when his translator said, “you hear stories, but you do not think it is going to be so much.” That line perfectly summed up my reaction to this piece. I had seen documentaries about slave-like factory workers and have read about them for other ethics courses, but every time I watch or read, something new sticks out to me. Like the handmade electronics and forced silence I heard about from Daisey. I am always shocked that places like this exist and that even with all the media attention given them, the conditions never seem to improve. 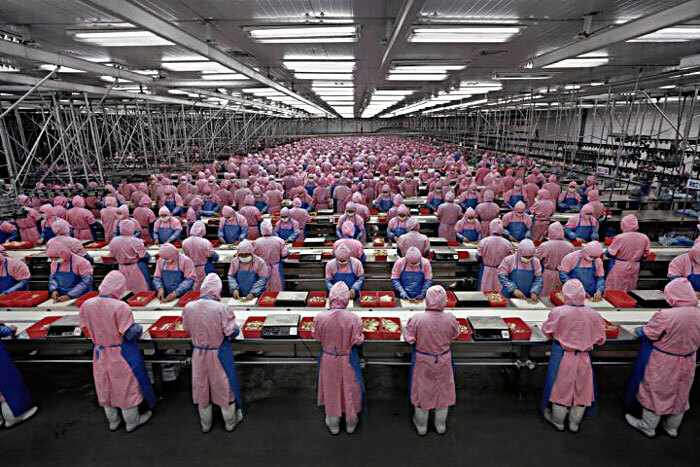 It has become just as common to hear about a factory like this as it is to buy an iPhone, yet nobody stops buying them. I feel hopeless listening to this feeling like I cannot help, nor have I considering I have a Mac and an iPhone. So does my mom, dad, sisters, and almost all of my friends. I know I will buy the next one too. I would love to say that won’t, but I want to. Even after listening to that piece. Yet I do not feel like a bad person. That is just our culture. I said their culture is unfathomable, but it seems like ours might not be much better.